Please note that ndnSIM >= 2.0 has been through major refactoring and simulation scenario written for ndnSIM 1.0 most likely would need to be changed to run on ndnSIM >= 2.0 platforms. Overall structure of ndnSIM is described in our paper and technical reports. 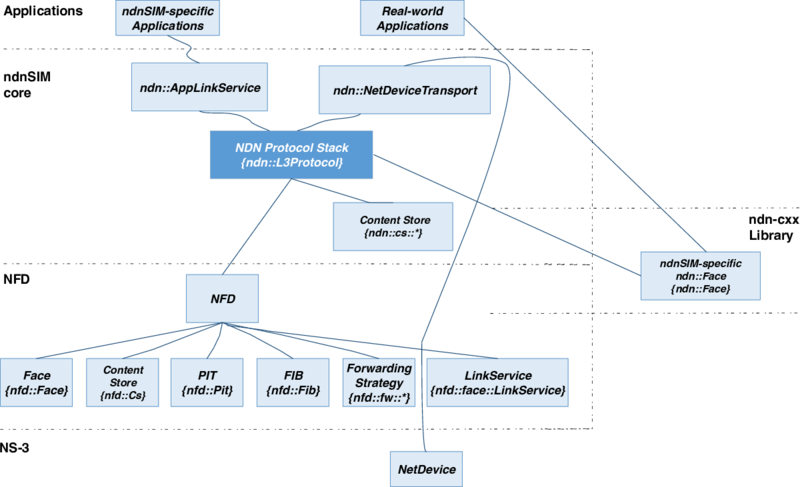 implementation of NDN base: L3Protocol, faces (Face, NetDeviceTransport, AppLinkService), etc.